Statistics show that businesses are very vulnerable to theft, burglary and fire. We will work with you to provide the most effective security system solution to suit your specific needs to minimize the risk of your business become another statistic. 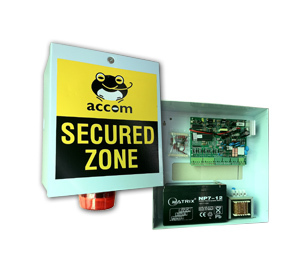 Now, our authorized dealers provide this alarm system with inclusive of installation. This is valid for installation in the Klang Valley, Malaysia. Alarm System with 8 zones + Installation + One-year Warranty. Installation area within 25' X 75'. 1st workmanship for wiring and system installation shall be conducted within one working day. 2nd workmanship for system configuration & training shall be conducted within one hour. 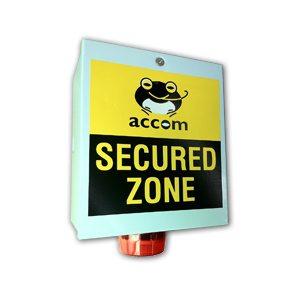 For mobile monitoring, the installation premises must have the telephone fixed line installed. One power points shall be installed beside the Alarm Control Panel by the client before the installation is conducted. Confirmation on the 1st workmanship and 2nd workmanship appointment schedules. The 1st workmanship requires one working day for Wiring and Installation. It will take place from 10:00 a.m. – 5:30 p.m. on agreed date (Mon - Sat, including selected public holidays). You shall pay the final payment during the 1st workmanship. The 2nd workmanship requires 1 hour for Configuration and Training. Appointment time may be made between 10:00 a.m. – 5:30 p.m..
With strategically placed of the alarm sensors and motion detector, it can protect just about any belonging and business. Safety gurus provide consultation, installation, and system training to clear confusion and avoid future system overwrites by technologically stunted garden gnomes.